After wearing an old scarf out a few weeks ago, I got to thinking that it was the perfect pattern for a cowl. I figured I could just seam the cast on and cast off edges together to make something really great for the kids. 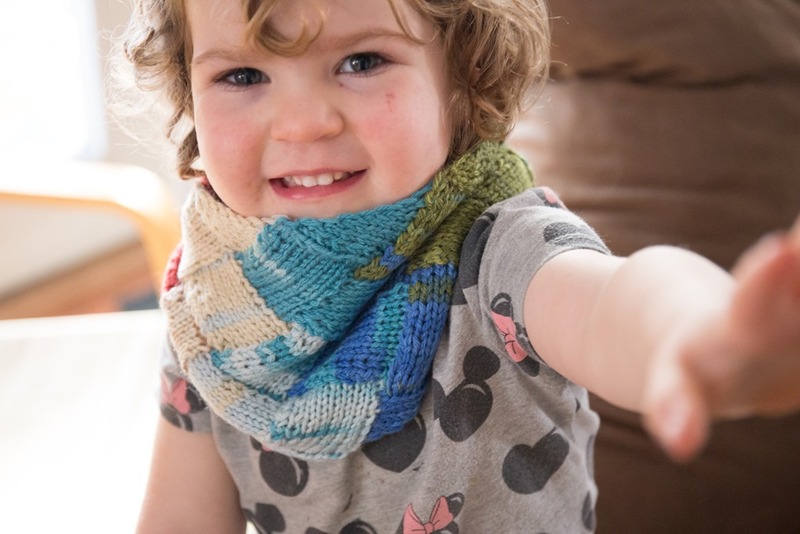 Then, as fate would have it, one of my best friends commented about how much she liked the woven pattern of my scarf and I thought, Maybe I should knit one for her daughter as a trial. So that’s what I did. Roughly, I think there is about 3 hours of knitting in this little cowl and finishing took about 10 minutes, which was nice to see it come together (literally) so quickly! 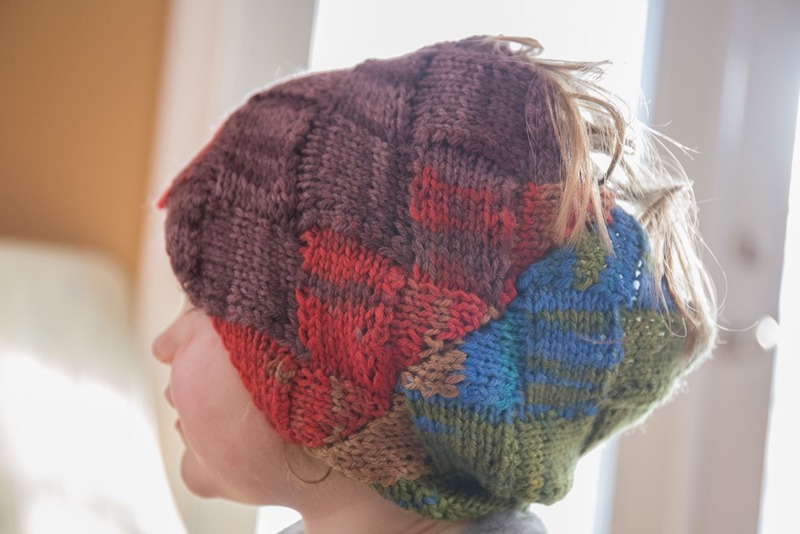 Because this is a free pattern, I feel comfortable speaking quite openly about how I modified the pattern. It calls for casting on 24 stitches, which I did but I used size 4.00mm needles to create a slightly denser fabric in the Classic Elite Wool, which is more of a DK weight when compared to the heavier weight Noro Silk Garden that is called for in the pattern (and that I knit my original scarf out of). The slightly smaller stitch gauge helped with using up the whole ball of yarn that was in the my stash without creating too dense of a fabric – I have to say, the drape is lovely. 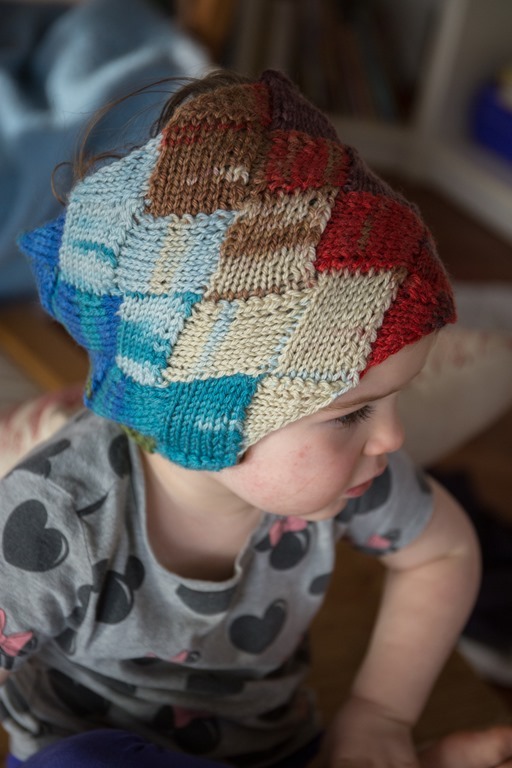 I have to say, these colours are kind of perfect for a little girl – the purple and tomato red are lovely and the green and blue means that the colour spectrum will entice any little girl into loving it. I actually thought James would really like it but I was wrong – he said he didn’t like the scarf ‘wrapped tightly’. Toddlers. Go figure. 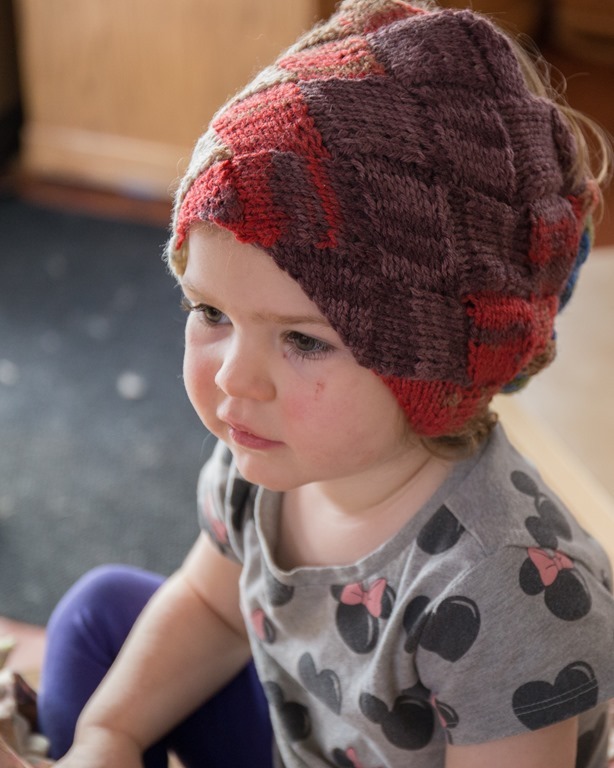 Norah loved it and immediately asked for one for herself – although I have to say, she was pretty excited to give this one to her dear little friend, which I was relieved about after she enjoyed modeling it so much! To obtain the correct number of ‘tiers’, I used my original scarf and wrapped it around Norah’s neck to see what might work. In the end, I settled on working 7 full-square rows or 14 tier rows, then the final set of tiers (which are triangles and you decrease along the way in order to bind off). The nice thing about this length is that it doubles as a messy bun beanie! Those have been enjoying quite the renaissance on good ol’ Instagram so I thought that was a lovely little perk of this cute knit! 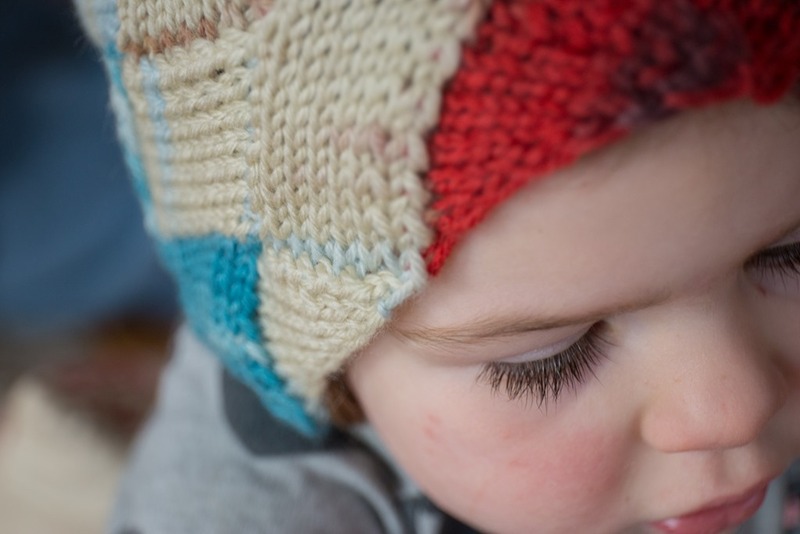 The seaming was a bit challenging due to the differences between the cast on and bind off edge – they are quite different and for those who haven’t knit this, please just trust me on this one! I think when I knit this again, I’ll work a couple of rows of garter and then at the ‘bind off’ end, which like I mentioned is more of a decrease row, I will add i-cord edging to make button holes. 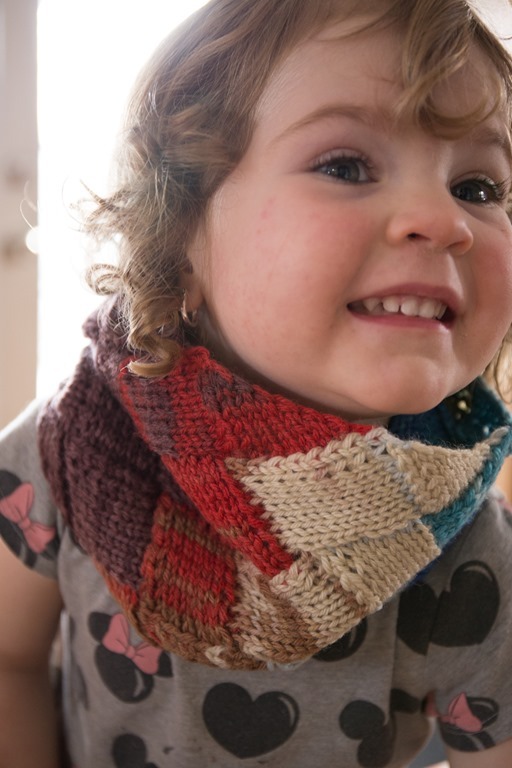 It would make the cowl easy to put on and cute when worn as a beanie/toque. Regarless, it’s unbelievably cute and functional. My friends are spending their Christmas in Cranbrook, BC, which is in the Kootneys. For those who aren’t familiar with the Interior of BC, it is cold. Cold. Cold. 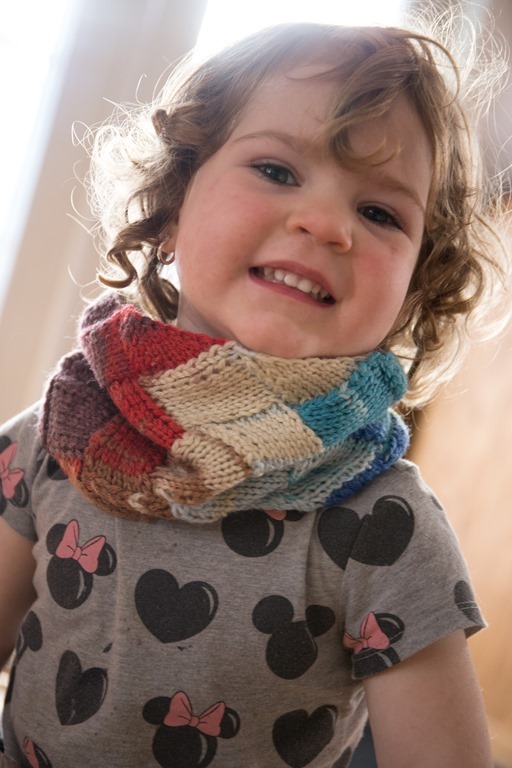 Kaitlyn’s neck and head will be warm, stylish and incredibly cute. Job done. Happy belated-Christmas Gift Knitting, everyone!